Low-cost airline Norwegian reveals some of the most popular travel experiences for British holidaymakers in 2017 in conjunction with the world’s largest travel activity website, GetYourGuide. Based on a sample of more than 10,000 bookings made by UK travellers, findings show that Brits are spending more to beat the queues for quicker access to cultural attractions such as museums, tours and historic landmarks in the new year. Norwegian is rapidly expanding its low-cost flights from the UK with more than 10 new routes launched in the past year, flying 4.5 million UK passengers. 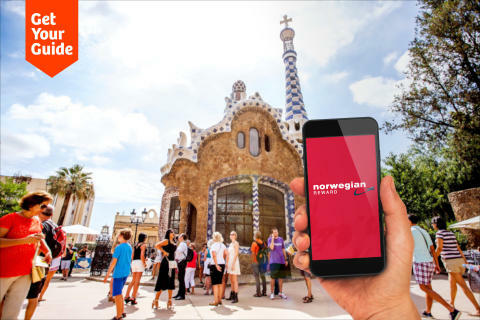 Europe’s third largest low-cost carrier has partnered with GetYourGuide to offer exclusive offers and discounts on travel tours and activities to its five million members of the airline’s loyalty programme, Norwegian Reward. Brits will be flocking to Reykjavik to experience the Northern Lights and whale-watching tours, as the city has the most bookings for tours and activities. UK tourists are increasingly booking for convenience with skip the line entry to the Eiffel Tower in Paris, priority entry to the Guinness Storehouse in Dublin and “no wait” for the Vatican Museums, Sistine Chapel & St Peters all featuring in the top 10. Cultural attractions and city landmarks are among the most popular including tours of the Alhambra, Generalife and Nasrid Palaces in Spain and access to the Burj Khalifa in Dubai. UK passengers using Norwegian’s free inflight Wi-Fi on select European routes can receive travel experience booking suggestions with GetYourGuide at 35,000 feet and receive links to book within 30 minutes upon arrival. Norwegian serves nine of the top 10 most popular destinations British travellers have booked tours and excursions including three direct flights per week from Gatwick to Reykjavik from £34.90. The airline operates 65 routes from the UK to nearly 50 destinations worldwide including the only direct low-cost flights to the USA from £135.